You are invited to GinSing! 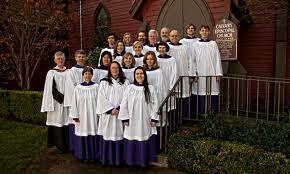 2013, Calvary Choir’s annual gala of gin tasting and wine sampling accompanied with delicious hors d’oeuvres. This elegant evening will include solo performances by the Choral Scholars along with songs by Calvary’s Choir. GinSing! is the primary fundraiser for scholarships awarded by Calvary to four deserving young music students in the community. In addition to the monetary assistance the scholarships provide, Choral Scholars attain the experience of professional performance, as well as exposure to the historical wealth of sacred music. Involvement in liturgical practice provides opportunities for Scholars to engage in our community of faith. Tickets are available for $25 from Calvary Choir members or at the door on the day of the event. Click here for more information.